When budgets are tight, fully furnishing out a formal dining room may not be a priority. But many people aspire to have holiday dinners and other formal dinner parties in their home as part of their entertainment options. There are many different styles that you could strive for when furnishing your dining room. It is a good idea to measure the size of your dining room. This can help you when determining how much furniture can fit in the room. The dining room table and chairs are the center piece, so knowing whether you want a rectangular or round table is important. If you have the room, you also need to decide if you want a hutch or another cabinet as a place to store formal dinner place settings. Depending on your theme, there can be a number of items to research and budget for when it comes to fully furnishing your dining room. Here is a good starting point. 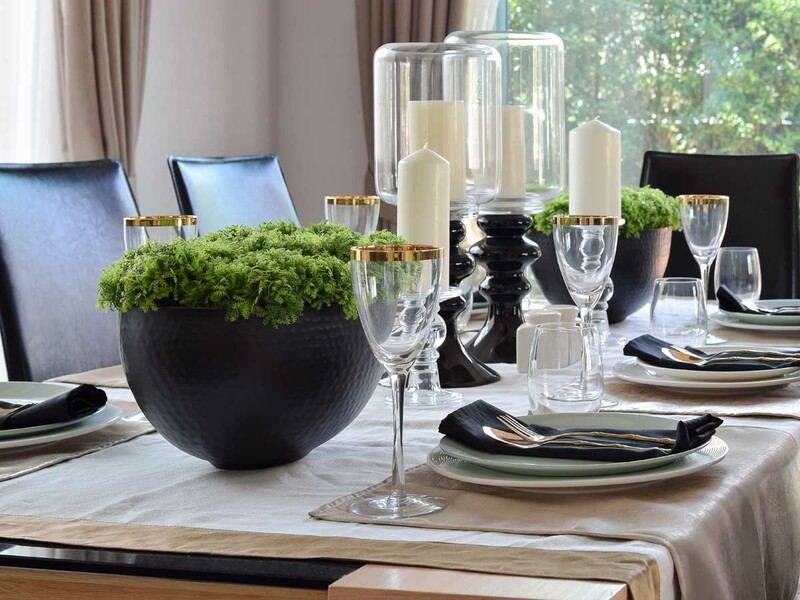 How to plan for furnishing your dining room. It is a good idea to look at pictures of various different kinds of dining rooms to get a feel for what kind of theme you like. You can choose from formal, contemporary, modern, or traditional styles. Many people hire an interior designer to help come up with the theme and various items in the dining room. It is also a good idea to develop a color palette that combines the various elements that come together including the color of the table, the paint, the wallpaper, the floors and even any upholstery on the chairs. It is important to the overall look for everything to work together in the dining room. Here is a great video from Geobeats on design tips for the dining room.